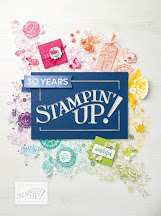 Stamping with Crafty Scentiments: Buy 3 Get 1 Free!!! The designer series paper sale is back for a limited time! These are the latest designs from our new annual catalog. See the list below for the selection of papers on sale. Mix and match and get as many as you want. Also don't forget to select coordinating cardstock as well. Free gift for all who purchase from my online store using the hostess code: WJ9JW99N. Do not use the code if your order is over $150.